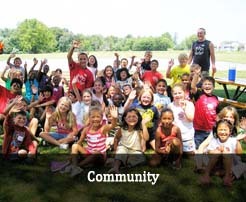 The Pittsfield Charter Township Board of Trustees (the "Township") has supported installation of non-motorized amenities in Pittsfield Township, since 2009, resulting in the installation of seven miles of 10' pathways/greenway and many miles of sidewalk and bike lanes that connect our residential, recreational, retail, park, green, and cultural spaces. 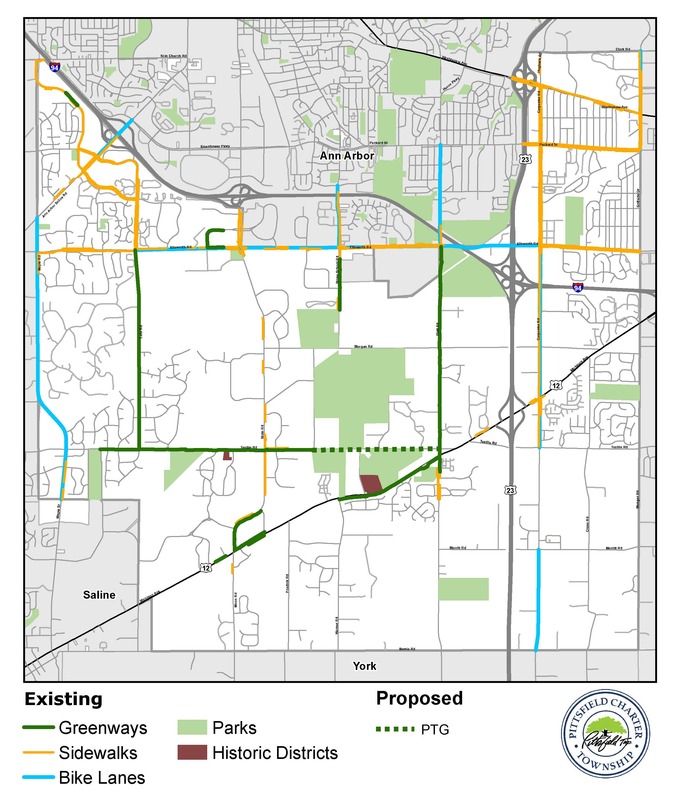 Through the 2020 Vision planning process, Pittsfield Township residents prioritized two specific areas for non-motorized improvements: (a) extending non-motorized amenities south of Michigan Avenue; and (b) providing east-west non-motorized connectivity, especially via connection of the existing Lohr-Textile Greenway (LTG) and Platt Road Greenway (PRG). 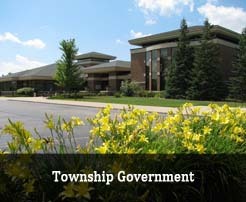 Therefore, the Township has applied for grant funds to help fund the proposed non-motorized path along Textile Road from Marshview Meadows Park to the east side of Platt Road connecting into the Platt Road Greenway. 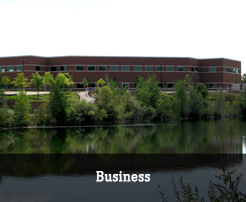 This project will be known as Platt Textile Greenway (PTG). It is the last piece of pathway that will connect over six miles of existing pathway (LTG and PRG) within the Township and into Washtenaw County's regional Border-to-Border trail network and, by extension, the Iron Belle non-motorized network being implemented by the State of Michigan. 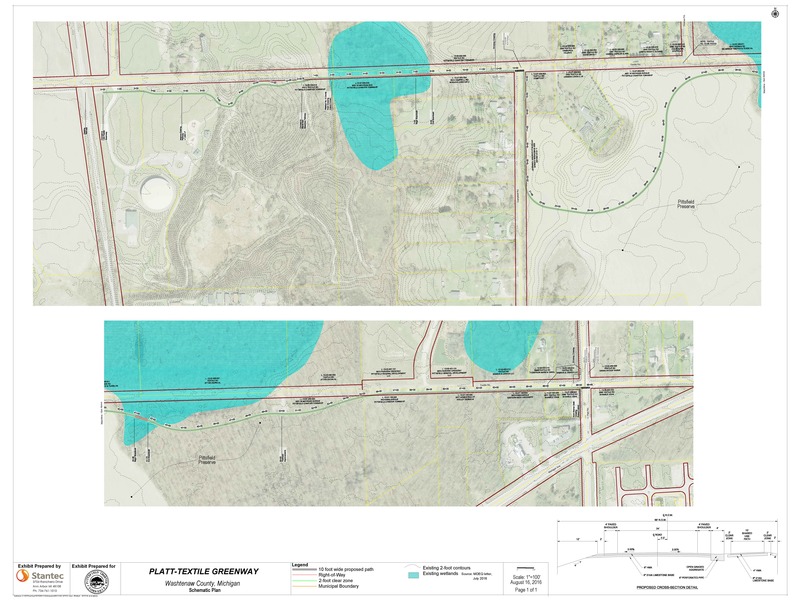 The proposed PTG pathway will consist of a ten (10) foot wide pathway on the south side of Textile Road to minimize impact to existing wetlands, curve through the Pittsfield Preserve and return to the south side of Textile to continue easterly, terminating at the PRG after crossing Platt Road via a new mid-block crossing. 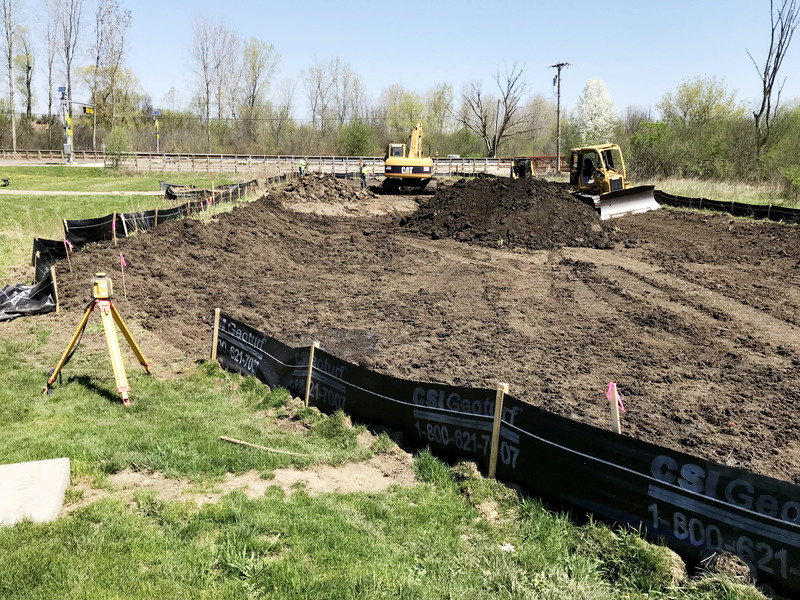 This project will be constructed in conjunction with a Michigan Department of Transportation (MDOT)-funded paving project, providing non-motorized access to open, green, recreational, retail, and cultural spaces for hundreds of thousands of area residents. February 2018 saw the beginning of the Textile Road paving project, starting with preparatory work on Textile Road. This project is expected to conclude by mid-November, and will consist of the paving of Textile Road from Hines Drive to Michigan Avenue (US-12), as well as the construction of a 1.3 mile non-motorized pathway which will connect Marsh View Meadows Park to the existing non-motorized pathway running north-south along Platt Road. 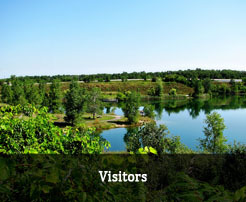 Pertaining to the Platt-Textile Greenway project; the purpose of the wetland conservation easement project is to protect the functions and values of the existing and established wetlands and it's natural resources, consistent with the Michigan Department of Environmental Quality permit for wetland mitigation.